Latest artworks by YZ to discover at french art studio. >In 2014, French artist YZ has moved her studio from Paris to Senegal. This relocation has been the opportunity for the artist to get into a very personal quest into her own heritage as she partly descends from slaves ancestors sent to the West Indies. 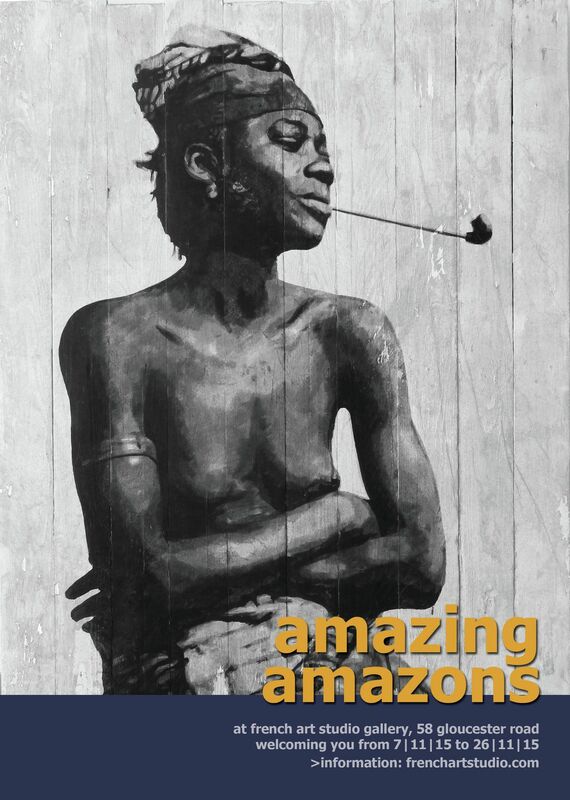 From this search alongside an in-depth interest she has developed for West African history, YZ has been naturally drawn into the fascinating world of amazons - these 19th century female warriors originally coming from the West African Country of Dahomey – a former French colony. In this new set of works, the artist is paying tribute to these extraordinary women who have shaped the face of Africa forever. Symbols of courage, these African amazons embed the values of modern feminity: strength, independence, and beauty.